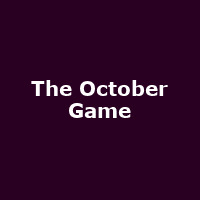 The October Game are a five-piece alternative rock band from UK. For fans of The Cure, Massive Attack and Radiohead, the band fuse elements of atmospheric rock and brooding indie pop with touches of electronica and folk occasionally weaving their way into the frame. The band released their debut album 'Balancing' in October 2013 via Scylla Records.